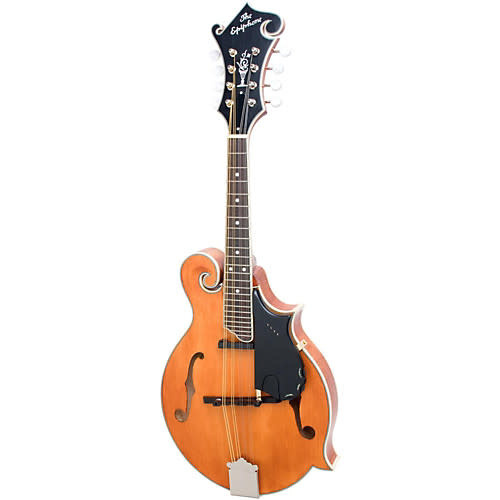 Revolutionize your sound with the new MM-50E Professional Mandolin today! The Epiphone MM-50E Professional Mandolin combines the innovation and classic design that players have come to expect from Epiphone. The MM-50E is the first mandolin that allows you to adjust the output level of each individual string pair, solving the inherent problem of unbalanced string pair volume when plugged in. These features, combined with the classic Lloyd Loar era F-Style body shape and neck, make the MM-50E a one-of-a kind instrument. Every guitar purchase comes with our exclusive Sims Music Advantage. The Sims Music Advantage includes free instrument inspection, setup, picks, polish cloth, t-shirt, and warranty claims assistance.